Want to learn about the basics of surf fishing? Have a question about a specific topic or technique? Attend the LBI Surf Fishing Seminar and learn about surf fishing from Team Mullet. 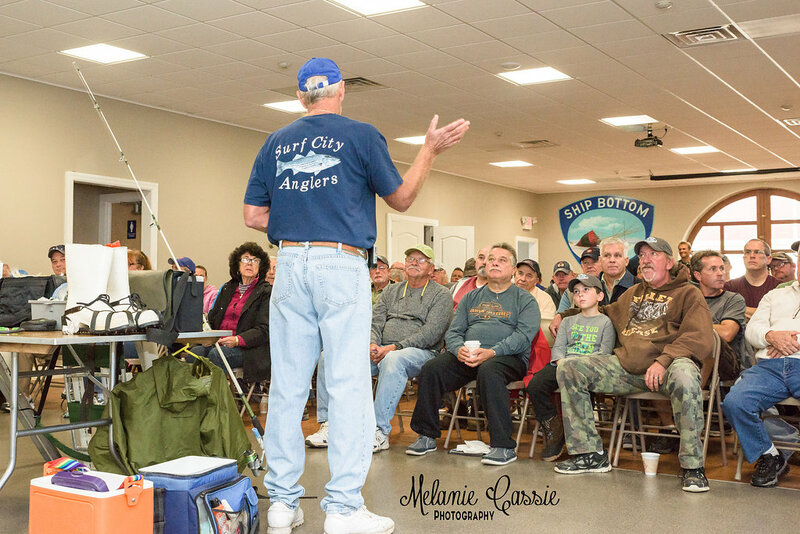 The Long Beach Island Surf Fishing Classic Annual Opening Day Surf Casting Seminar is Saturday October 6, 2018. Meet at 9 am for Coffee (Sponsored By How You Brewin) & Donuts at the Ship Bottom Firehall on the corner of 21st St. and Central Ave in Ship Bottom. There will be time set aside for question and answers as well as hands on learning. Before wrapping up the inside portion, there will be a raffle and door prize drawing. Must be present to win. Don't miss out! 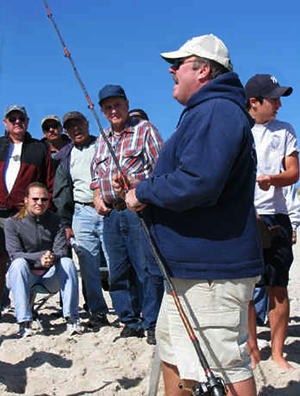 Approximately 12 Noon (weather dependent) there will be an "On The Beach" demonstration where a variety of additional topics will be presented; Reading The Water & Identifying Beach Structure, Picking A Spot, Hands On Casting Demonstration, Working Application Specific Lures, How To Fish Each Lure, When & Where (Weather, Wind, Tide). Feel free to bring a folding chair for your comfort on the beach. This is a great time for anglers to learn about the finer points of surf fishing. It is always a great time to learn valuable surf fishing knowledge and network to meet new fishing friends. When: October 6th 9am to 1pm.